Every second person you see today aspire to become a DJ and learn Djing, why? Is it a cool trade to join? are they fascinated by the festivals and want to the hit main stage like their favorite DJ? Is it because they love electronic music and want to produce and perform the same? Who can become a DJ? Well anyone can become a DJ and learn Djing but its really a tough job to become a good one. DJ courses are usually very short termed. One looking forward to becoming a DJ needs to get training for about 3-4 months and can learn the art of DJing. Another 6 months & you can learn to produce music, But the learning doesn’t end here. The actual training starts when you finish your course and get on the stage/studio, Your actual training starts there. It is very important for a DJ to gain practical experience as spinning in a studio in front of a wall is quite different from being on the stage in front of the crowd. Is it important to learn from a DJ School? Yes, one should definitely take up a professional course before becoming a pro DJ. Getting assistance from an established DJ won’t help you a long time in the career. Imagine rather than going to high school you would have learned just from your tuition teacher. A school will teach you theory, practical in a proper studio environment with a properly researched syllabus. You can ask questions from your faculty till the time you do not understand the topic, You can get time to practice on the best equipment and get a certificate at the end of your course. 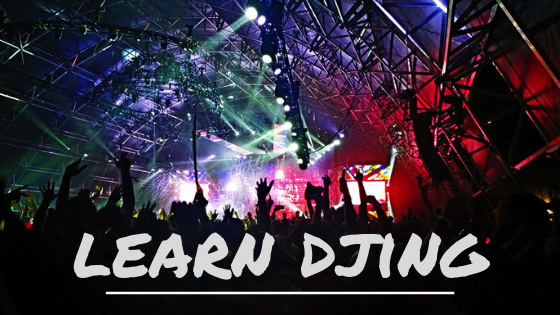 Basic Course commonly known as the CD DJ Course helps to learn DJing at a basic level and to learn about the industry along with an introduction to the equipment. One should deeply learn the connections, troubleshooting, types of wiring, Sounds and the teaching gear involved. once done with the basic knowledge on the gear one should move up and thoroughly learn BPM, Cueing and tune structures till perfection. once you are done with all through your next step should be to learn Beat Matching and bar matching. Constant practice is must become a good DJ, your entire time and efforts should to learning, practicing and arranging your music library. Pro course commonly known as the CD Turntable course is one step ahead next to the basic course as here you learn the advanced techniques and tricks in DJing. From Hot Cues, Looping, Sampling, Scratching to Digital DJing this course will offer you everything related to the art of Professional Djing.